1. 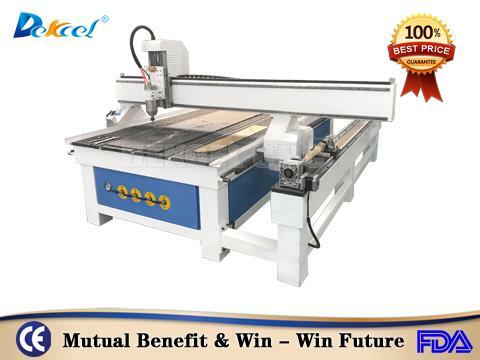 The stability of cnc wood carving cutting machine is excellent, not easy to be deformed. 2. High power spindles have constant power, low noises and super strong cutting force, which improve workingefficiency greatly. 3. Famous brand drivers and motors have characteristics such as powerful strength, fast processing speed. 4. The cnc woodworking carving machine with rotary device can process round wood, so that it can meet your needs of round wood processing. 5. Three axes adopt high precision square orbit, X and Y axes adopt rack and pinion transmission, fast working, high efficiency and low cost. Z axis adopts ball screw, with high precision and long life time. 6. Independent control box make control easier. 7. 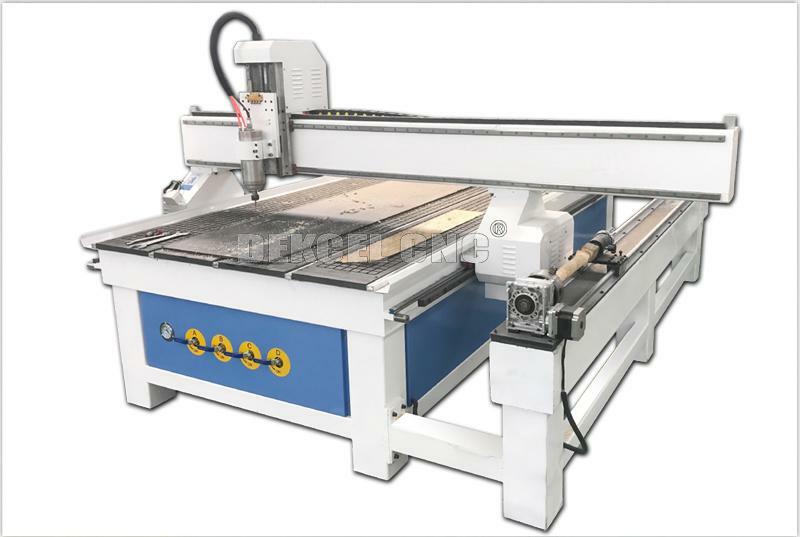 The cnc engraving machine has the function of re-carving after break point and power failure. 8. 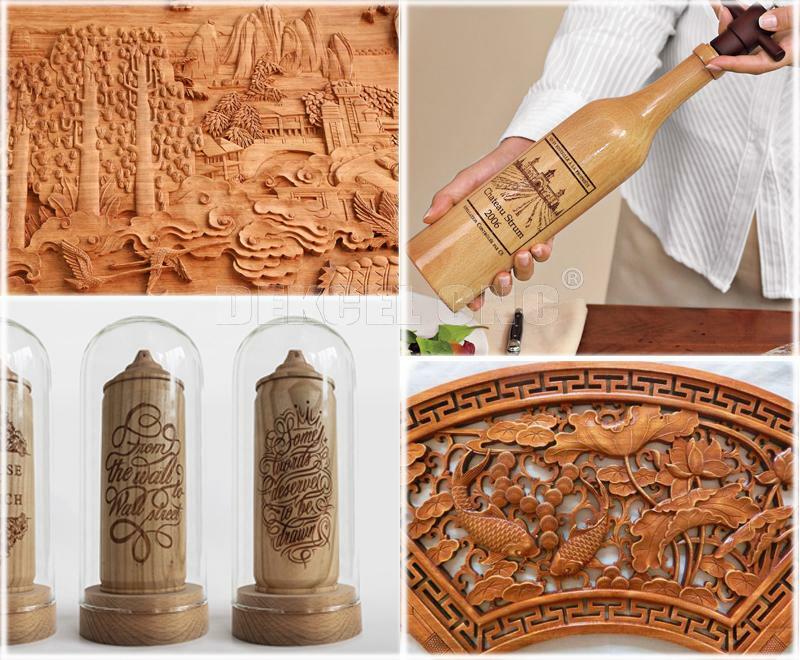 The wood carving cnc machine has the function of forecasting process time. 9. Perfect oil lubrication system makes maintenance much easier. And electric limit switch on all axis, make sure machine running well. 10. Well compatibility: CAD/CAM designing software e.g. Type 3/ Artcam/ Castmate/ Wentai etc. 11. We will provide you a set of cutter, and a tool box with other necessary accessories. Wood, MDF, PVC, acrylic, double color board, plastic, pcb, light metal. 1. Wood craft industry: jewelry box, music box, picture frame, clock frame etc. 2. Furniture industry: wood doors, kitchen cabinet doors, big furniture pattern engraving and carving, wood sheet cutting or engraving. 3. Advertisement industry: Advertisement label and logo, Acrylic cutting and blister molding etc. 4. Instrument industry: wood instrument surface 3d engraving, like guitar, violin, zither etc. 5. Light metal: aluminum board cutting or engraving. 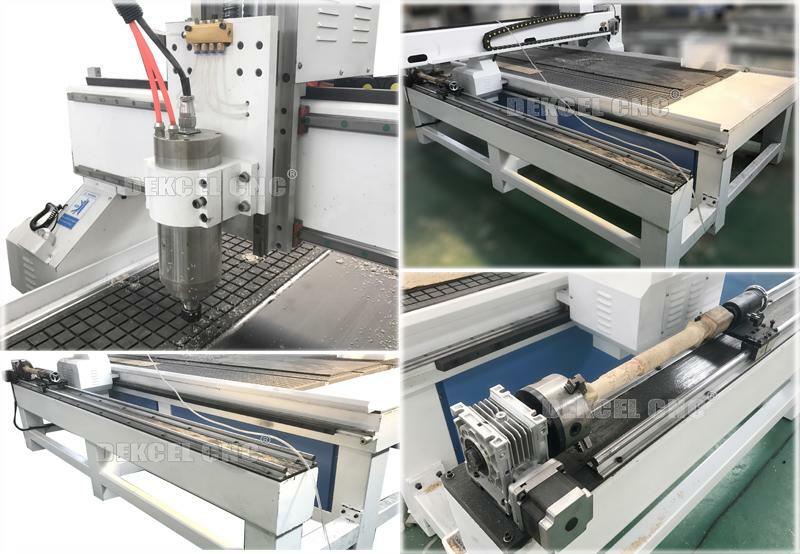 If you are interested in our wood cnc router with rotary device, or have any question about cnc woodworking cavring cutting router machine, please contact Jinan Dekcel Cnc Equipment Company. We are support service 24 hours online. And we will try our best to meet your requirements.